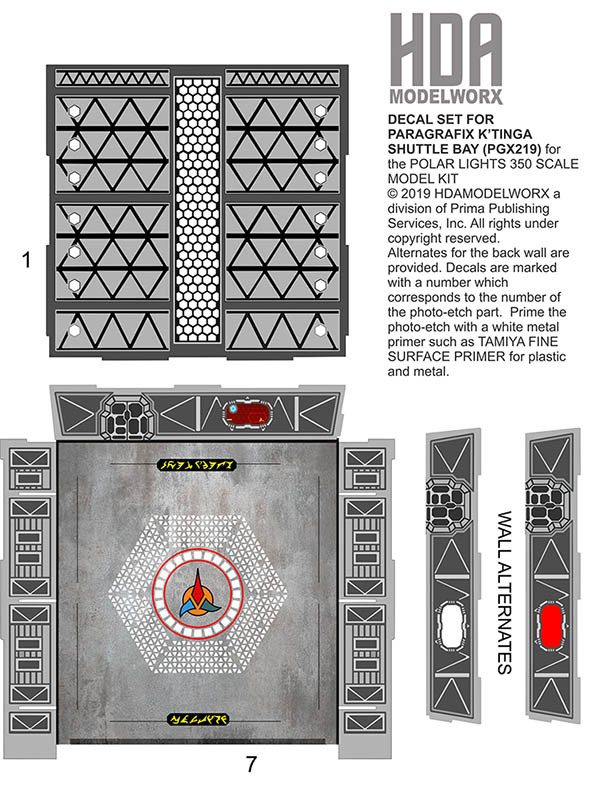 Decal sets provides excellent detail without painting for the K'Tinga Shuttle Bay that is part of the the Paragrafix photoetch set. Each decal corresponds to the numbered photoetch set parts. Includes two alternates with the large wall view screen.